We feel fall approaching, but summer still remains strong. 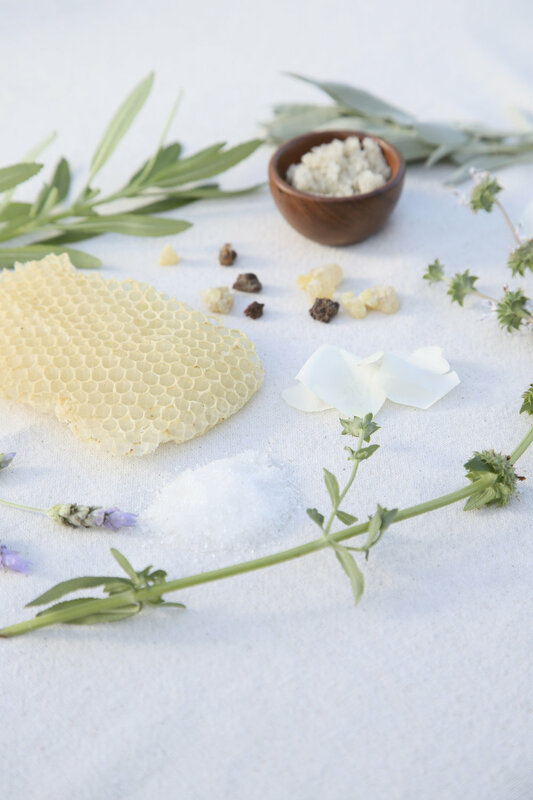 Stave off the summer stink with our Pure & Natural Deodorant! Warm days continue ahead, so make sure to have your non-toxic deodorant stocked. 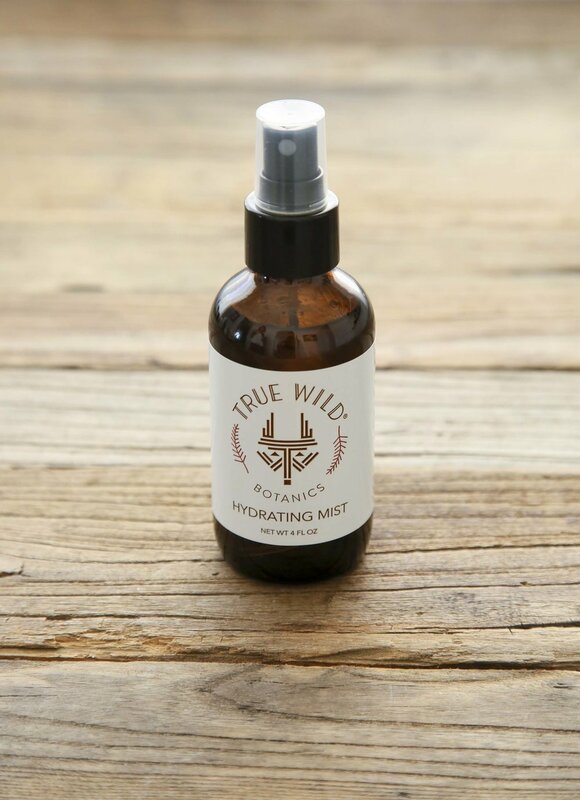 Release your True Wild nature without radiating untamed odor. Our Pure & Natural Deodorant is powered with the help of baking soda, arrowroot powder and shea butter to restore pH balance, absorb moisture and eliminate bacteria. Tea Tree essential oil’s antifungal, antibacterial and antiviral properties keep odor-causing bacteria under wraps. Lavender and bergamot essential oils add detoxifying and disinfecting qualities with a clean scent to make your nose happy. Our effective formula is the perfect solution for those seeking a functional natural deodorant that is free of harmful chemicals and toxins. From backcountry trail to board- room meeting, our deodorant eliminates unwanted odor and leaves your underarms fresh. Enjoy 15% off our Pure & Natural Deodorant from August 22- September 5. Visit our online shop! Ingredients: Butyrospermum parkii (Shea Butter), Sodium bicarbonate (Baking Soda), Maranta arundinacea (Arrowroot) powder, *Cera alba (Beeswax), *Saccharomyces Ferment, Cocos nucifera (Coconut) oil, *Lavandula angustifolia (Lavender) oil, Melaleuca alternifolia (Tea Tree) oil, Citrus bergamia (Bergamot) oil. Enjoy 15% off our Pure & Natural Deodorant from August 22- September 5. Visit our online shop! 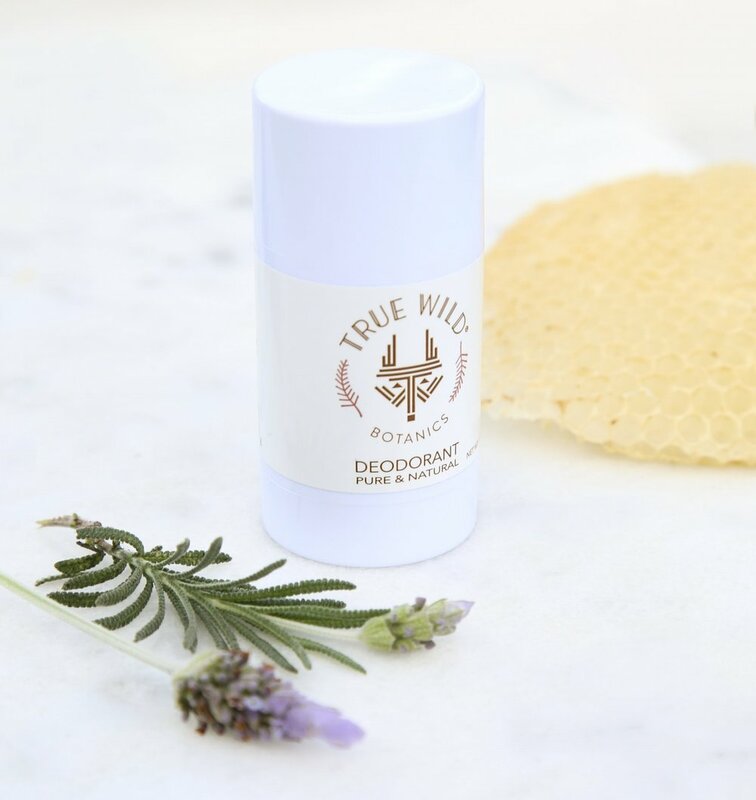 Our Pure & Natural Deodorant is powered with the help of baking soda, arrowroot powder and shea butter to restore pH balance, absorb moisture and eliminate bacteria. Tea Tree essential oil’s antifungal, antibacterial and antiviral properties keep odor-causing bacteria under wraps. Lavender and bergamot essential oils add detoxifying and disinfecting qualities with a clean scent to make your nose happy. Wishing you and yours a wonderful, happy and healthy Holiday Season! 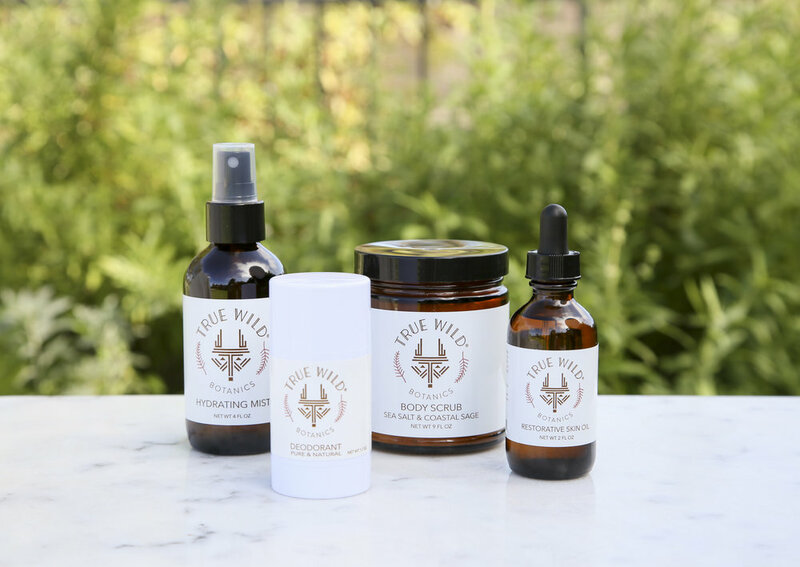 Our cheerful announcements include that True Wild Botanics was recently featured in The Seattle Times! We are proud of our Sea Salt & Coastal Sage Body Scrub for making an appearance in the Eco Chic feature of The Seattle Times. We are equally as proud of our Hydrating Mist for making an appearance in The Seattle Times Holiday Gift Guide. 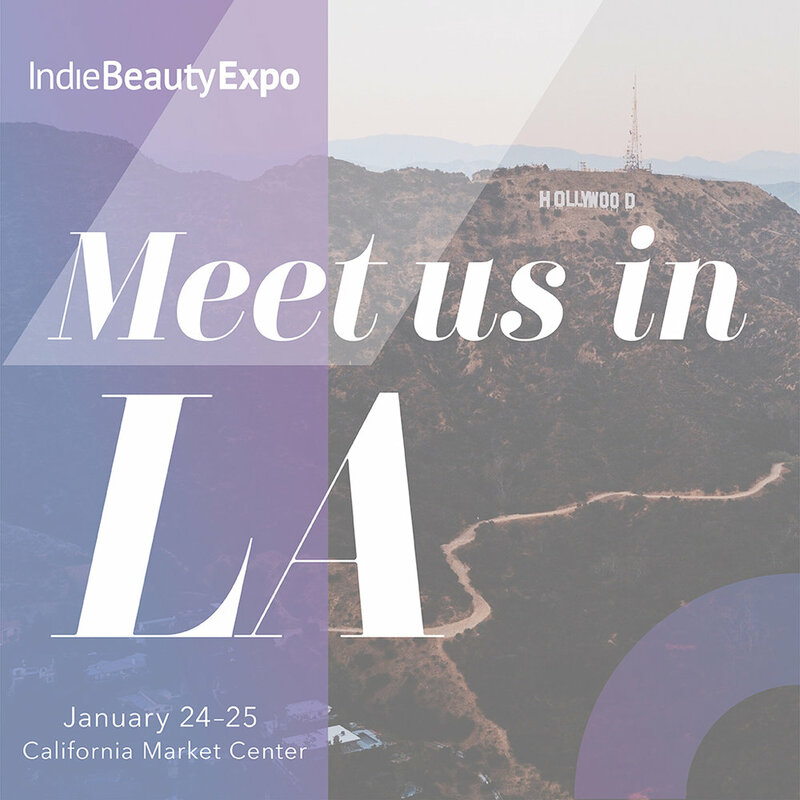 We hope to see your beautiful faces at the upcoming Renegade Craft Fair in LA this weekend (12/9-10) and the Renegade Craft Fair in Seattle the following weekend (12/16-17). 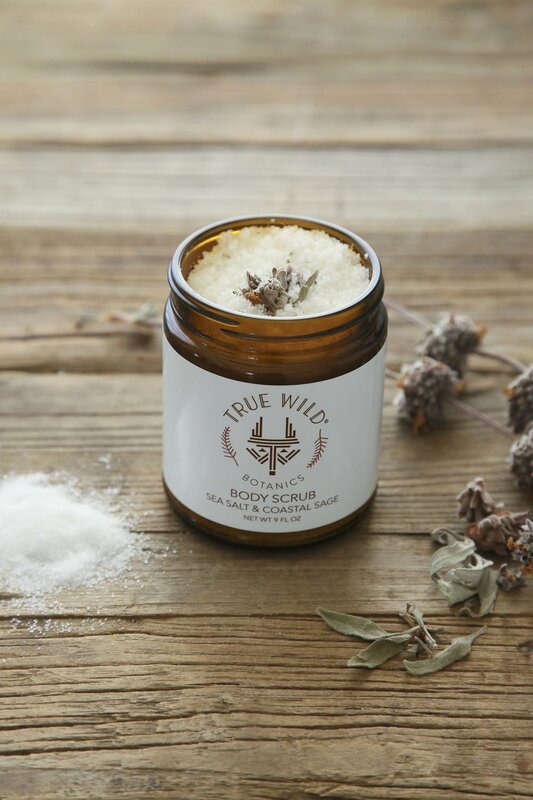 We are proud of our Sea Salt & Coastal Sage Body Scrub for making an appearance in the Eco Chic feature of The Seattle Times. We are equally as proud of our Hydrating Mist for making an appearance in The Seattle Times Holiday Gift Guide.